Who doesn’t love a classic Spaghetti and Meatball dinner? This classic Italian-American dish is a quintessential go-to in most homes, especially for family dinner. It’s rare to hear a complaint with this favorite on the table. With hearty, cold-weather dishes becoming a regular at dinner, this recipe is a little bit lighter so there’s less guilt. A few swaps cut both calorie and fat content while also adding a little extra nutritional value. If you’d like the traditional version, keep reading for tips on swapping it back. Classic Italian meatballs are traditionally a mix of beef, pork and sometimes veal or lamb. Regardless of the combo, red meat is the norm. This recipe trims down the meatballs by using ground turkey instead. 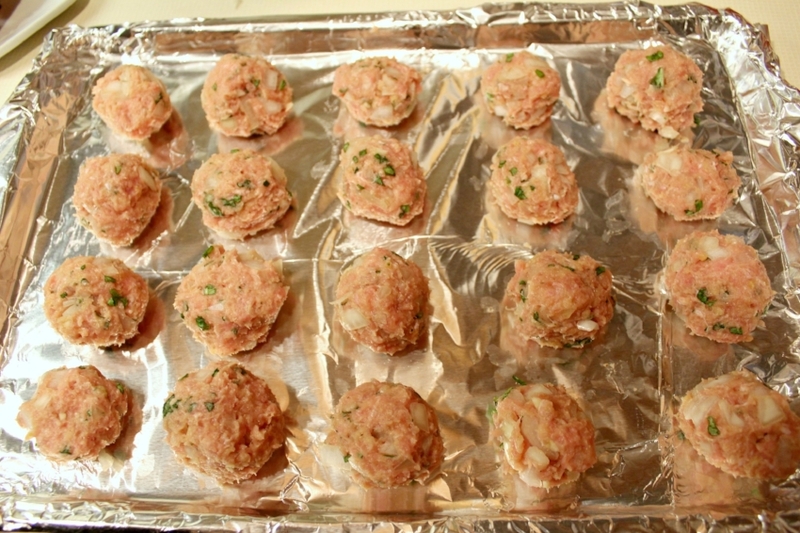 You can also use ground chicken but turkey holds a little more flavor. 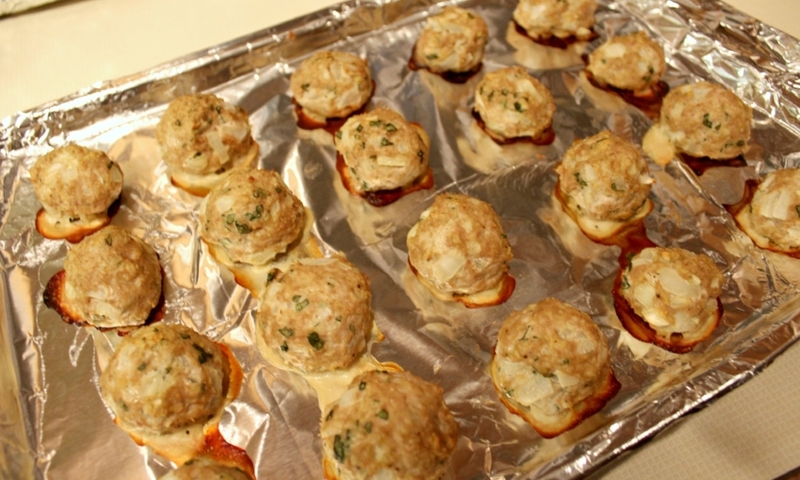 (**For traditional meatballs, substitute the turkey for equal parts beef and pork or only beef.) Flavor the meat with fresh garlic, onion, basil and oregano. Panko breadcrumbs allow the meatballs to bind without adding weight because they’re so light. Traditional breadcrumbs work as well but Panko give the meatballs an airy quality. A good gravy doesn’t take five minutes to make. If you want a great gravy, one friends and family will remember and you’ll long to smell throughout your home, it needs to cook low and slow. Since I am a champion for speedy and easy dinners, this recipe only needs a minimum of 30 minutes to simmer. However, the longer you leave it on the stove, the more the flavors will blend and enhance. (**Pro Tip: Add a Parmesan Cheese rind for an extra level of flavor that no one will be able to figure out or resist). When I make any gravy and I have time, I usually start it in the early afternoon or late morning so it gets a few hours to simmer low. Make sure to give it a stir every 30 mins or so so the bottom doesn’t burn. A final touch to lightening up this dish - use a whole wheat or whole grain pasta. Go gluten-free if you don’t eat regular pasta. Any pasta of choice works. Using something in the whole grain variety will give you an extra boost of nutrition. I always prefer a traditional noodle to any others but there is nothing wrong with switching it up, even once in awhile. 1 - Prep the Gravy: In a large saucepan or medium pot, mix together the crushed tomatoes, tomato paste, garlic cloves, basil, oregano, parsley, thyme, crushed red pepper (if using), salt and pepper, to taste. Bring to a low boil and let simmer covered over low heat for a minimum of 30 minutes. If planning to simmer longer, make sure it’s on the lowest simmer you can manage and still stir every 30 minutes to prevent burning at the bottom of the pan. 2 - Preheat the oven to 375 degrees. Prepare a baking sheet with tin foil. Set aside. 3 - Prep the Meatballs: In a medium sized bowl, mix together ground turkey, garlic, onion, basil, oregano, panko breadcrumbs, egg, salt and pepper. Mix together well and form into 1-inch balls. Place on the baking sheet and bake 15-20 minutes until cooked through. 4 - Meanwhile, bring a pot of water to a boil. Salt the water and add your spaghetti. Cook till al dente according to the package directions. Drain. 5 - Toss the spaghetti with a few ladles of marinara. Leave the rest aside for everyone to add as they’d like. Some people like more gravy and others less. Fill pasta bowls with marinara-tossed spaghetti and top with meatballs. Serve.